The image of cowboys playing poker has shown up again and again in Westerns. 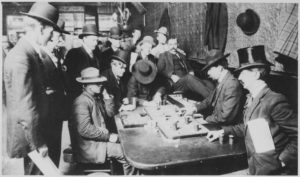 However, if you walked into a saloon in the late 1800s, you likely wouldn’t find poker, blackjack, or other contemporary casino games. Instead, you’d probably find a game of faro. The French card game (also known as “bucking the tiger” or “riding the tiger”) was popular throughout Europe and North America up until WWII. Faro was all but synonymous with gambling, and prominent figures like Wyatt Earp and Doc Holliday were fans of the game. 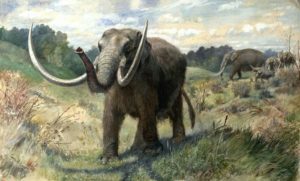 However, it is essentially extinct now. 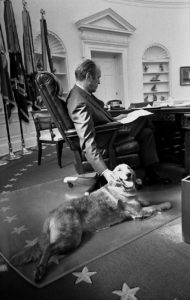 This week we look at the animal companions of America’s chief executives, including opossums, eagles, and very good dogs. 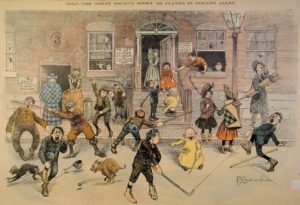 Thanksgiving, at least in New York City at the end of the 1800s and early 1900s, used to look a lot like Halloween. Traditional trappings like turkey and family gatherings were certainly present, but it was also a day for children (and adults) to dress in costumes, make noise, and go from house to house demanding treats and pennies. 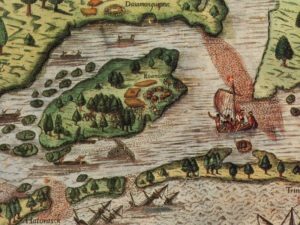 The disappearance of the Roanoke colony is one of America’s oldest mysteries. 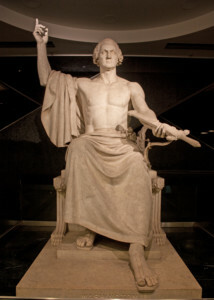 However, the story of the Roanoke colony was only a major pillar of American historiography after the 1830s, and later on in the 1800s Virginia Dare, the granddaughter of colonial governor and artist John White, became a symbol of the American South and white supremacy. For more on the Roanoke colony check out Andrew Lawler’s excellent new book The Secret Token, which I heartily endorse. Sending human beings through the mail is not generally allowed, but plenty of people have tried it. 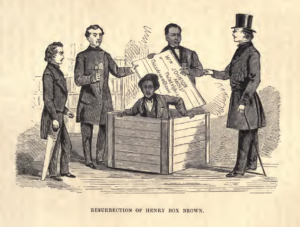 The most notable person in US history to mail themselves is Henry “Box” Brown who escaped slavery in Virginia via a shipping company, and emerged in Philadelphia. Other notable human parcels include W. Reginald Bray, who made a habit of putting strange things through the mail, May Pierstorff, who was mailed by her parents as a parcel, and Reg Spiers, an athlete who mailed himself to from the UK to London and later became a drug smuggler. 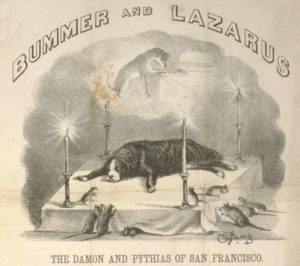 Bummer and Lazarus were a pair of stray dogs beloved of San Francisco in the 1860s. 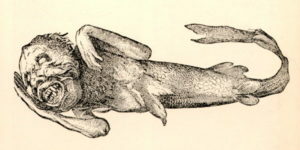 The two dogs were known for their exceptional rat-catching ability, and were a favorite topic of newspapers of the day. Nowadays the two dogs are often associated with Norton I, Emperor of the United States and Protector of Mexico, but Bummer and Lazarus belonged to no one. The dogs were their own, and are, very probably, the most beloved strays of all time. Squanto and other Native Americans are a fixture of popular depictions of what has retroactively been termed the First Thanksgiving, such as in the fanciful, inaccurate 1914 painting pictured below, by Jennie Brownscombe. That popular image, reproduced so much in elementary school pageants and dioramas, is pat and unsophisticated. The actual story of Tisquantum (of which “Squanto” is an abbreviation) is much more complex. 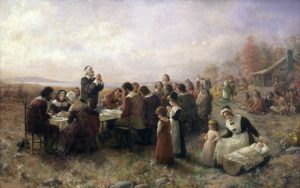 It is a story of slavery, travel, exploration, tragedy, and politics, all of which lurk behind and complicate the standard picture of the first Thanksgiving. 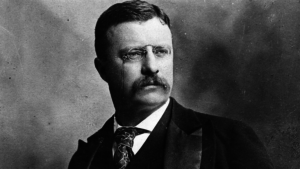 In 1854 the anti-immigrant Know-Nothings made their debut into American politics. They ran candidates in 76 of the 82 available House of Representatives races, and won 35 of those seats. 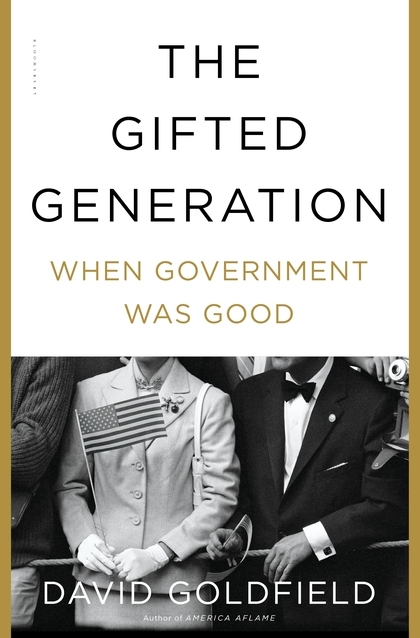 At the same time, they also became a force to be reckoned with in state and local governments. After their initial success, the Know-Nothings installed one of their own as the Speaker of the House and, at the local level, began passing laws and ordinances that restricted the rights of immigrants. 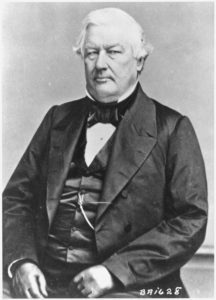 In 1856 they made a play for the Oval Office, nominating former president Millard Fillmore. As president, Fillmore signed the Fugitive Slave Act that led to the dissolution of the Whig party and (indirectly) to the power vacuum that allowed for the Know-Nothings’ ascendancy. 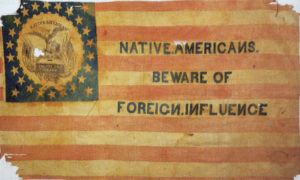 Fillmore did not identify with the Know-Nothings, but saw the nomination as a chance to form a national party that was untroubled by the issue of slaver. Unfortunately for Fillmore and the Know-Nothings, slavery is possibly the most contentious and important political issue in American history. The issue of slavery (and secession and disunion) dominated the 1856 election. The anti-immigrant Know-Nothings continued to ignore the issue, and after 1856 the momentarily successful party slid into irrelevance. Nowadays, comic books are mainstream. Movies about superheroes dominate the box office, and you can’t go ten feet in a major retail outlet without seeing something related to popular comics culture. This is not new. 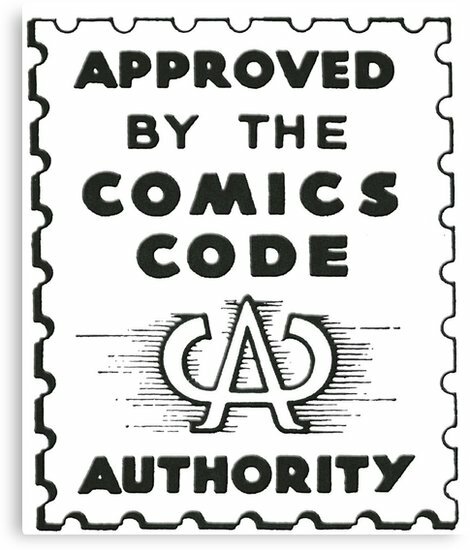 Comics and comic books have always been an integral part of American popular culture ever since the 1890s, with the introduction of the Yellow Kid, America’s first popular comics character. The Yellow Kid (created by former Edison employee R.F. Outcault) sported a shaved head (a common deterrent for lice) and a ragged, hand-me-down nightshirt as his only garment. 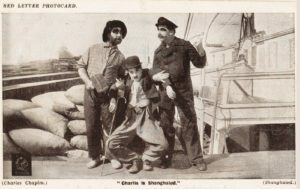 He eventually became a star in 1890s New York City, and his distinctive image could be found on everything from cigar boxes to cookie tins. Eventually the Kid led to a fight between newspaper magnates Joseph Pulitzer and William Randolph Hearst, who each tried to woo the public with their own distinct and competing versions of the popular comics character. There is no war on Christmas. But there was. Contemporary political commentators have, in the past, complained and ranted about a supposed secular war on Christmas, a crusade to erase spirituality and religion from late December, a campaign to turn the occasion of the Nativity into merely “the Holidays.” But, Christmas has always been a season more about revelry and celebration than spirituality. The holiday is a re-appropriating by Christianity of pre-existing Roman festivals such as Saturnalia and the birthdate of Sol Invictus the sun god. Christian reinterpretations are just that: Reinterpretations. 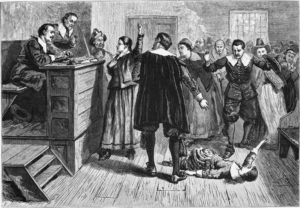 One group that knew this very well was the Puritans, who saw Christmas as a fundamentally ungodly holiday, and sought to ban it and all of its various trappings in both England and Massachusetts. 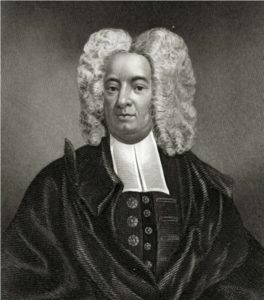 Puritan leaders such as Cotton Mather (pictured below) saw the holiday not as something for the glory of God or Christianity, but directly counter to it. In Puritan-controlled areas shops and businesses stayed open on Christmas, and anyone caught celebrating the offensive holiday was fined the sum of five shillings. Nowadays the US-Canada border is one of the most peaceful international boundaries in the world, but in 1859 the US almost went to war with British North America in what is now Washington State. A war sparked by a pig. The 1846 Oregon Treaty was poorly worded and it left San Juan Island itself in something of a state of limbo. 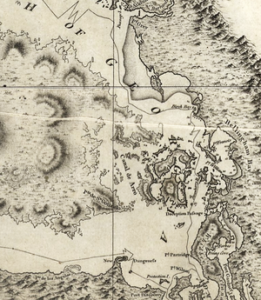 This island was claimed both by the British Empire and the United States, and for several years American settlers and the Hudson’s Bay Company mutually occupied the island. 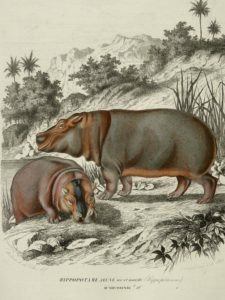 However, an American frontiersman shot a British pig, and the squabble between neighbors threatened to turn into an international incident. The two powers were ready for armed conflict and, had a British rear admiral not disobeyed orders to engage the Americans, the conflict might very well have turned violent. In the end, it was a bloodless conflict. There were no casualties, excepting, of course, the pig. It’s October. For the next three weeks, we’ll be focusing on bloody, violent, and generally horrifying historical episodes. This week: The Bloody Benders, America’s first ever documented serial killers. The Benders operated an on the Osage Trail (later called the Santa Fe Trail) where they allowed travelers to stay the night, resupplied pioneers with food and dry goods, and one of them, Kate Bender, promoted herself as a spiritual healer and fortune teller. 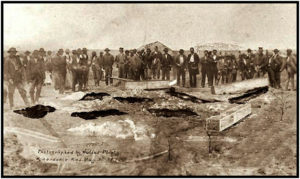 They also killed several travelers, and buried their bodies in a garden (pictured below) that became known as “Hell’s Half Acre.” Probably the most famous person associated with the Benders is Laura Ingalls Wilder, the author of the Little House on the Prairie novels. Wilder was very young when her father joined a posse to hunt for the killer family, and did not include them in any of her books. While she had no compunctions about including violent and unflattering portraits of Native Americans in her novels (including several references to massacres supposedly perpetrated by the Osage Indians), Wilder, it seems, demurred at the idea of including killer white people in her work. It’s very likely that Hillary Clinton will become the Democratic nominee for president in 2016. When/if she does, some talking head will likely call her “the first women to run for president.” That talking head will be wrong. Women have been running for president for decades. 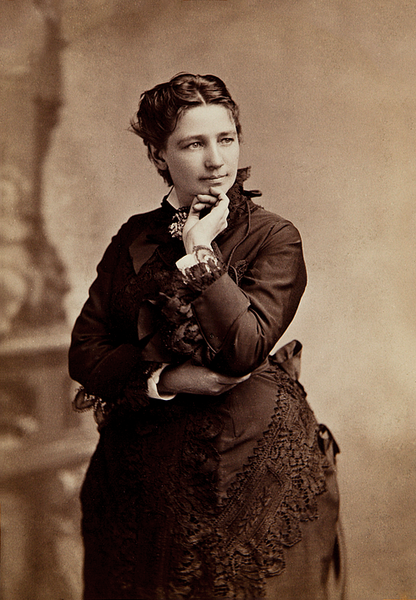 The first woman to do so was Victoria Woodhull, a former Wall Street trader, traveling clairvoyant, spiritualist, newspaper publisher, and advocate for women’s suffrage. Woodhull advocated strongly for free love, i.e., the ability for women to marry whomever they chose, and for the disentangling of marriage as a social institution from the law. Woodhull obviously lost the 1872 election (Ulysses S. Grant won it) but many of her ideas about gender, women’s rights, free love, and marriage, have been integrated into what is now considered “normal.” Woodhull was a firebrand and a revolutionary at the time and, even though she lost that electoral contest, we now very much live in her world. victoriacwoodhull.org is a site devoted to, obviously, Victoria Woodhull. 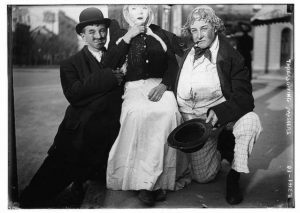 If you were out and about in San Francisco between 1860 and 1880, you might have seen a curious figure on the streets. 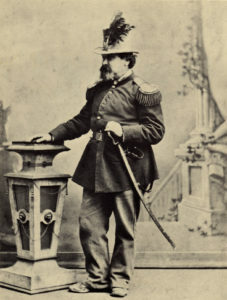 Joshua Abraham Norton wore a uniform reminiscent of European nobility, made proclamations, and styled himself as “Norton I, Emperor of the United States and Protector of Mexico.” Norton seems to have been embraced by the city he “ruled” over, to the point where citizens actually used the currency that he issued. His proclamations were popular reading in the city at the time, and often reprinted and imitated by newspapers of the era. 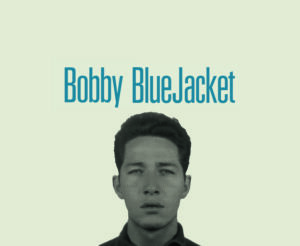 He’s best known for proposing a bridge between San Francisco and Oakland, and renaming the Bay Bridge in honor of Norton has been proposed numerous times. Emperor Norton’s grave on Atlas Obscura. 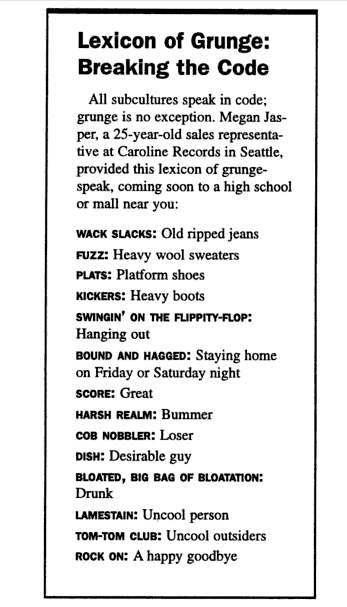 Read a collection of Norton’s proclamations from the Virtual Museum of the City of San Francisco, who have tried to suss out which ones are genuine and which are hoaxes or pranks. 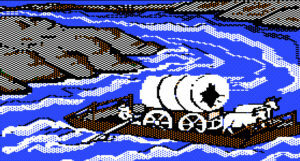 Renaming the Bay Bridge as the Emperor Norton Bridge is a perennial topic of discussion, and (unsurprisingly) there’s a change.org petition out right now to do exactly that. There’s a tour guide who apparently dresses up as Norton and does walking tours of San Francisco. That sounds absurd, and I’m totally signing up for one of those the next time I’m in the Bay Area. The foreboding form of Alcatraz Island looms just beyond San Francisco, an obvious symbol of isolation and punishment. Alcatraz was never the biggest, or worst, or longest-lived prison in American history, but it’s definitely the most iconic. The island fortress seems to invite resistance and escape attempts, a setting like Alcatraz demands a narrative just as striking. In 1946 a handful of convicts attempted to violently escape from the island, giving that dramatic setting a dramatic narrative to match it. The resulting conflict, known today as the Battle of Alcatraz, claimed the lives of five people and wounded just over a dozen others. Ordinary San Franciscans were able to watch from their city as guns, explosives, and conflict raged just beyond the bounds of civilization. 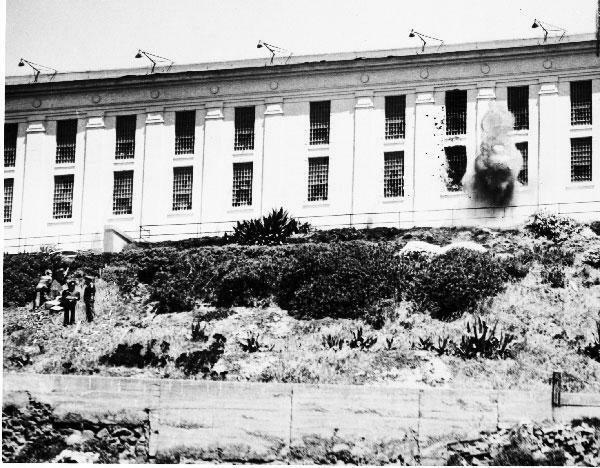 The image below shows the exterior of Alcatraz as U.S. Marines pelt the prison with mortars in an attempt to kill and suppress the rebels inside. 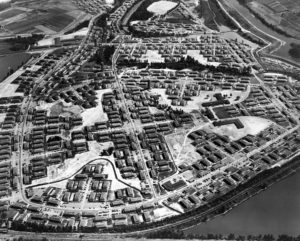 Watch 1946 newsreels of the events here and here, in all of their retro media glory. Read more about the battle and other Alcatraz history here. This map via Wired of how other Alcatraz escapees could have, possibly, maybe survived. Probably the most violent singular example of post-slavery racial violence in the US happened in Tulsa, Oklahoma in 1921. 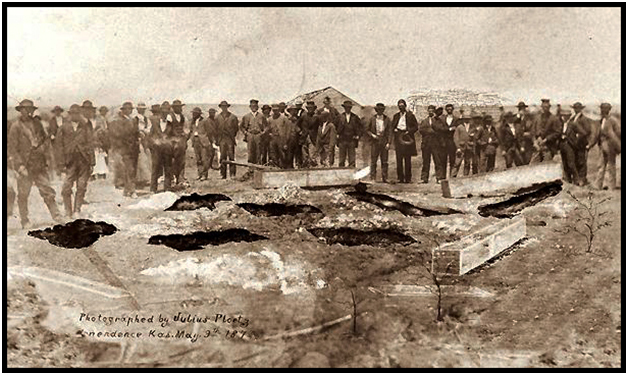 Mobs of armed whites burned buildings, killed African-Americans, and utterly destroyed what had been known as Tulsa’s “Black Wall Street.” For years the incident was not extensively talked or written about, but it is now more widely known as one of the most horrifying examples of domestic terror that the US has ever known. The 2001 report commissioned by the Oklahoma state legislature on the riot. 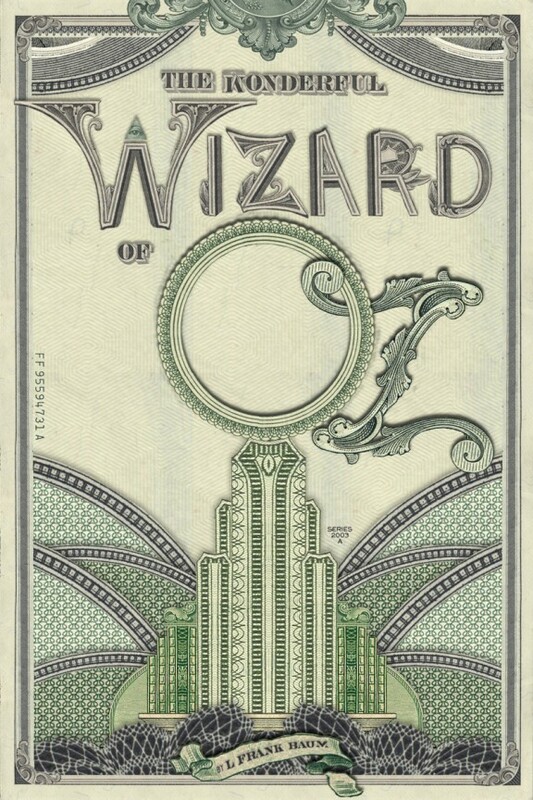 Walter White’s 1921 piece The Eruption of Tulsa from The Nation. The New York Times on the riot’s aftermath. A report on the riot from 60 minutes. Jules Verne’s Around the World in Eighty Days is not strictly science fiction, but it is a book that speculates about technology (specifically steamships and railroads) and what it’s capable of. Verne’s 1973 novel made the eighty day time look like something of an impossible feat, but in 1890 Nellie Bly, a reporter for the New York World beat fictional record set by Phileas Fogg. 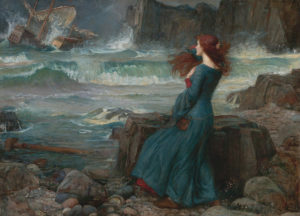 Bly set out to best Verne’s protagonist, and circumnavigate the globe in 75 days. She did even better than that, though, and went all the way around the planet in 72 days, doing Fogg better by more than a week. Read Around the World in 72 Days online. 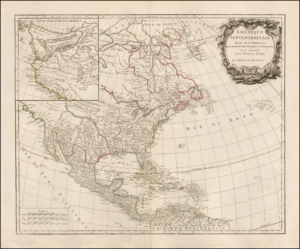 View a map of Bly’s journey from American Experience. In 1880s New York Nellie Bly (born Elizabeth Jane Chochrane)reported on the conditions inside an insane asylum by pretending to be mentally ill and getting herself checked into one. Bly’s account of Blackwell’s Island Insane Asylum caused a sensation when it was published in the New York World, detailing poor conditions for the inmates, abuse by the asylum staff, and virtually no way to get off the island once one was brought there. The photo below shows the asylum on Blackwell Island in 1893, about six years after Nellie Bly’s visit. 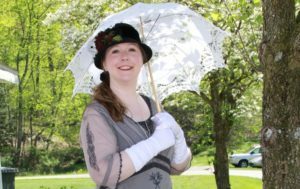 Listen to Nelly Bly, the Stephen Foster Song from Which Elizabeth Jane Cochran took her pen name. Read Ten Days in a Madhouse online, or listen to it as an audiobook on YouTube. The United States has been a divided nation plenty of times. It’s been divided about slavery, about politics, about culture and, very importantly, about when to celebrate Thanksgiving. Holiday Highlights, a 1940 Merrie Melodies cartoon, showed the date of Thanksgiving as November 21st for Democrats, and November 28th for Republicans. Daily Kos, Huffington Post, and Washington Times on Franksgiving. 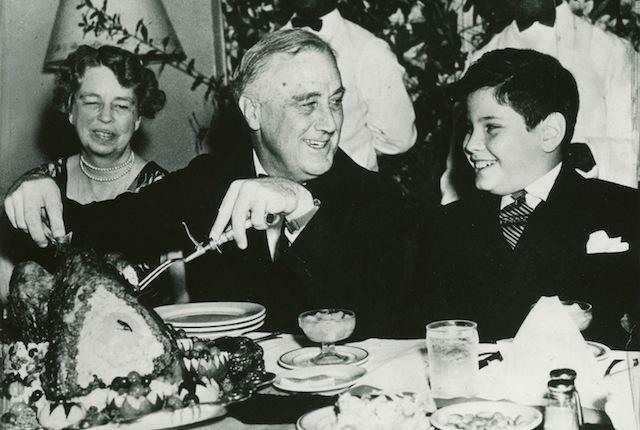 The 1941 bill that finally established Thanksgiving as an official federal holiday.